Click here to register to join us at the Hacienda and experience it setup for a wedding and meet our preferred vendors! It's time for a calendar update! It’s out today! Our most recent publication is out today on Aisle Society’s blog heyweddinglady.com. 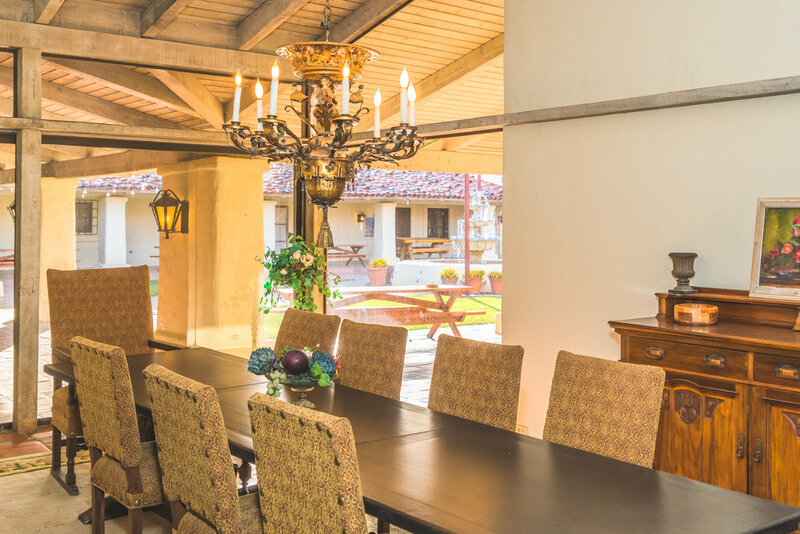 Book your wedding, retreat, or event at Valyermo Ranch and fall in love with our 1800s style hacienda and our sweeping vistas of the San Gabriel Mountains. Valyermo Ranch is a self-sustaining ranch that is in constant operation year round. We offer various feeds including Alfalfa, 3-way, hay, and other depending on the season. The ranch is home to various livestock as well. While we don't raise all the live stock with the purpose to be sold, some of them occasionally will be depending on the stock. The livestock and animals we have on premises include horses, cows, bison, sheep, chickens, pigs, and sheep. As we are a fully-functioning ranch in Southern California, our wildlife includes coyotes, bobcats, owls, hawks, rattlesnakes, and whatever else is home to the desert. Please plan your trips to the ranch with this in mind.